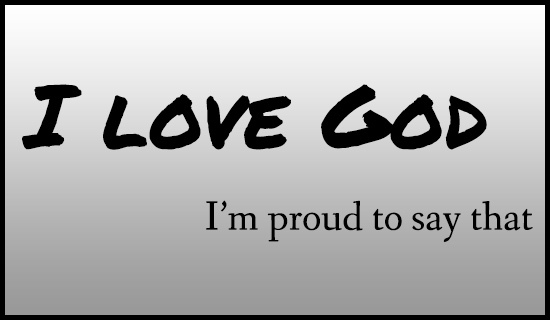 There are great benefits for loving God. Not just recognizing that He is, not just believing He took away your sins, but LOVING Him. In verse 14 God promises to do all of these things, to rescue us, and protect us, because of our love for Him. Do you want long life? Love Him. Do you want Him to answer when you call? Love Him. There are many people who say, “God has never done anything for me.” They have spouted out a few requests, maybe even begged and wept, tried to bargain or broker a deal. But do they love Him? Or are they just going thru ‘drive thru’ and placing an order on a fast food deity they expect a quick fix from? They don’t know Him, They don’t have “personal knowledge of My mercy, love and kindness.” He has done everything for them. He has made a way were there was no way, reconciled them back to Himself by shedding His own blood. He has loved them, even in their sin, and misunderstanding of who He is. All they have to do is accept His love and love him back and He is so easy to love. I love Him, because He loves me.